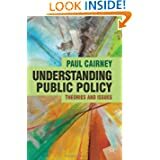 ← Understanding Public Policy 2nd edition? Can Westminster take back control after Brexit? All going well, this discussion will be in a box in Chapter 8 of Understanding Public Policy 2nd ed. “The ‘Brexit’ referendum was dominated by a narrative of taking back control of policy and policy making. Control of policy would allow the UK government to make profound changes to immigration and spending. Control of policymaking would allow Parliament and the public to hold the UK government directly to account, in contrast to a more complex and distant EU policy process less subject to direct British scrutiny. 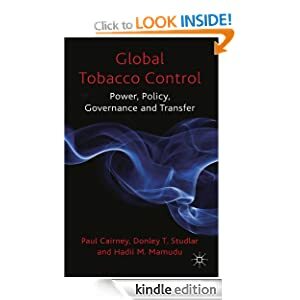 Such high level political debate is built on the false image of a small number of elected policymakers – and the Prime Minister in particular – responsible for the outcomes of the policy process. There is a strange disconnect between the ways in which elected politicians and elected policymakers describe UK policymaking. 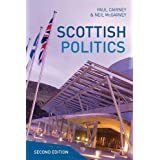 Ministers have mostly given up the language of control; modern manifestos no longer make claims – such as to secure ‘full employment’ or eradicate health inequalities – that suggest they control the economy or can solve problems by providing public services. Yet, much Brexit rhetoric suggests that a vote to leave the EU will put control back in the hands of ministers to solve major problems. The main problem with the latter way of thinking is that it is rejected continuously in the modern literature on policymaking. Policymaking is multi-centric: responsibility for outcomes is spread across many levels and types of government, to the extent that it is not possible to simply know who is in charge and to blame. Some multi-level governance (MLG) relates to the choice to share power with EU, devolved, and local policymaking organisations. However, most MLG is necessary because ministers do not have the cognitive or coordinative capacity to control policy outcomes. They can only pay attention to a tiny proportion of their responsibilities, and have to delegate the rest. Most decisions are taken in their name but without their intervention. They occur within a policymaking environment over which ministers have limited knowledge and control. The problem with using Brexit as a lens through which to understand British politics is that it emphasises the choice to no longer spread power across a political system, without acknowledging the necessity of doing so. Our understanding of the future of UK policy and policymaking is incomplete without a focus on the concepts and evidence that help us understand why UK ministers must accept their limitations and act accordingly.